If you think your bedroom could be the cause of your insomnia, then don’t worry: there are plenty of simple updates you can do to make it the perfect place for a great night’s sleep. 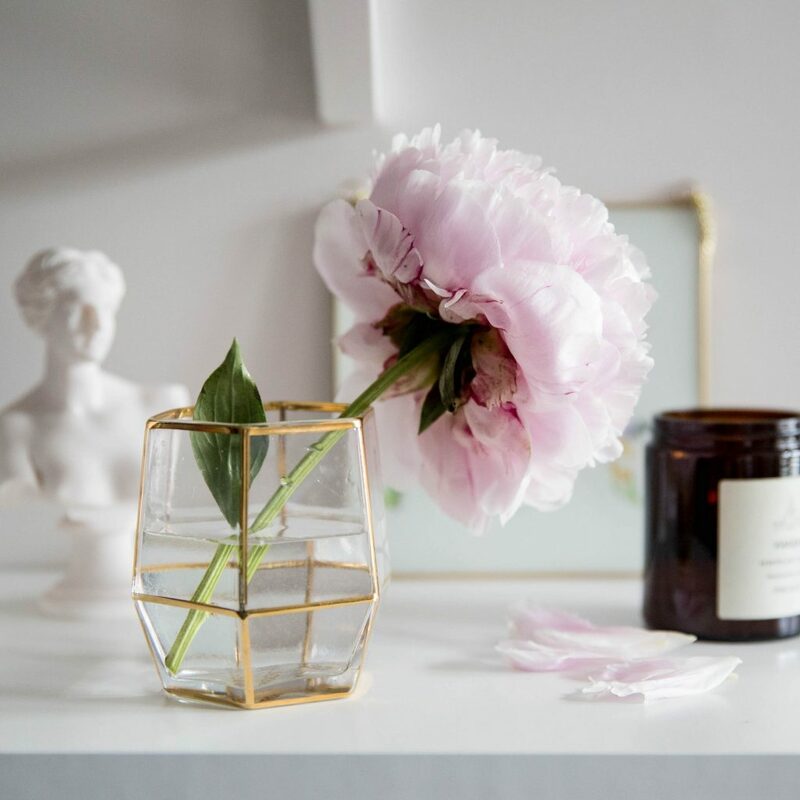 Here, we’ve compiled four things that are essential for a healthy sleeping environment, including tips on how to incorporate them into your décor. Just read on to learn how you can get start getting a better night’s sleep. By far the most important aspect of the perfect bedroom is the mattress you sleep on. Even if every other element in your sleep sanctuary has been carefully chosen to create a relaxing atmosphere, you’re still unlikely to get a great night’s sleep on a mattress that’s too hard, soft or lumpy. Not only is an unsuitable mattress less comfortable, but it can also worsen back and neck pain, too. So, if you can feel lumps, bumps and springs through the fabric, or you’re routinely waking up feeling sore, then it’s a sure sign that your mattress needs upgrading. If you’re not satisfied with the quality of your current mattress, but you can’t afford to splash out on a completely new mattress, then consider investing in a memory foam topper instead. This way, you’ll get the support and comfort of high-tech memory foam at a fraction of the cost of a full-size mattress. For the best night’s sleep, most experts recommend a completely dark room, free from any natural or artificial light. Early sunrises in the summertime and artificial light from streetlights confuse your body clock and disrupt your sleep, so it’s important that you have a way to control the levels of light in your room. Blackout blinds are the most effective way to ensure your room is completely dark, and you can install them behind your regular curtains. This selection of blackout blinds from Direct Blinds is available in a range of different colours, and will effectively block out any outside light. If you like to read in bed (and you should — it’s a great way to relax and wind down) then you’ll need a reading lamp. This should be bright enough that you can read without straining your eyes, but not so bright that it spoils the relaxing atmosphere you want to create. A bulb with a brightness of around 50–60 watts is ideal for a bedside reading lamp. Your bedroom should be a peaceful, relaxing space, so fill it with colours, decorations and soft furnishings that make you feel chilled out. Unless you’ve got your heart set on them, you’ll want to avoid energetic shades like orange, yellow and bright green: instead, opt for soothing blues, lilacs and purples. 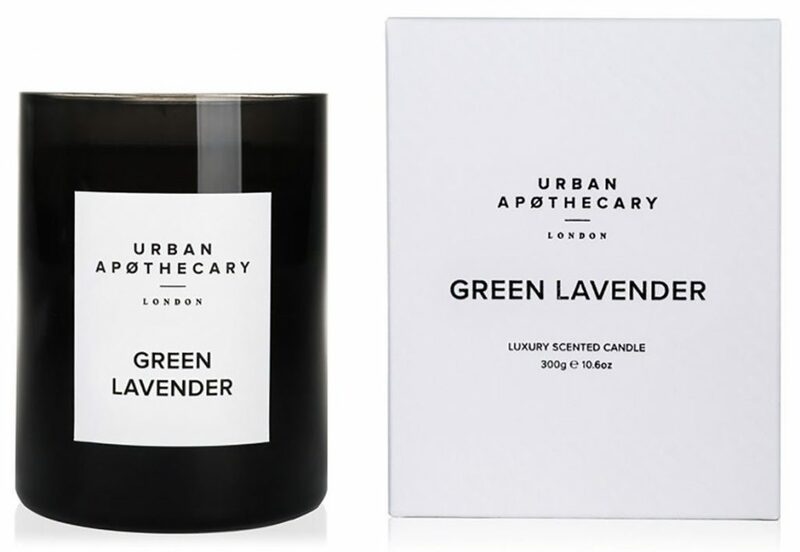 Relaxing scents can also help you to switch off, especially floral aromas like lavender, jasmine and chamomile – I love the ‘Green Lavender’ Candle by Urban Apothecary. To help you drift off faster, try placing a bag of dried lavender flowers near your bed, or even spritzing some fragrance on your pillow. If the air temperature in your bedroom is too warm or too cold, then this can have an impact on your sleep. The ideal temperature for a sleep sanctuary is between 15–19 degrees, according to The Sleep Council. This should be cool enough to keep stop you from overheating during the night, but warm enough that you won’t feel cold when you first get into bed. If you struggle to regulate the temperature in your room through your thermostat alone, a portable heater and a pair of curtains with thermal lining will help to trap heat in the winter. Your bedding also plays a vital role in regulating your body’s temperature during sleep, so if you find you tend to wake up in a hot sweat, then you might need a lighter duvet cover. Breathable Egyptian cotton sheets will wick sweat and heat away from the body, so they’re a great choice for hot summer nights. If you’re tired of tossing and turning at night, then a simple bedroom makeover could be the answer. Try these tips in your home, and before long you’ll have a calming oasis that’s perfectly designed for a great night’s sleep. 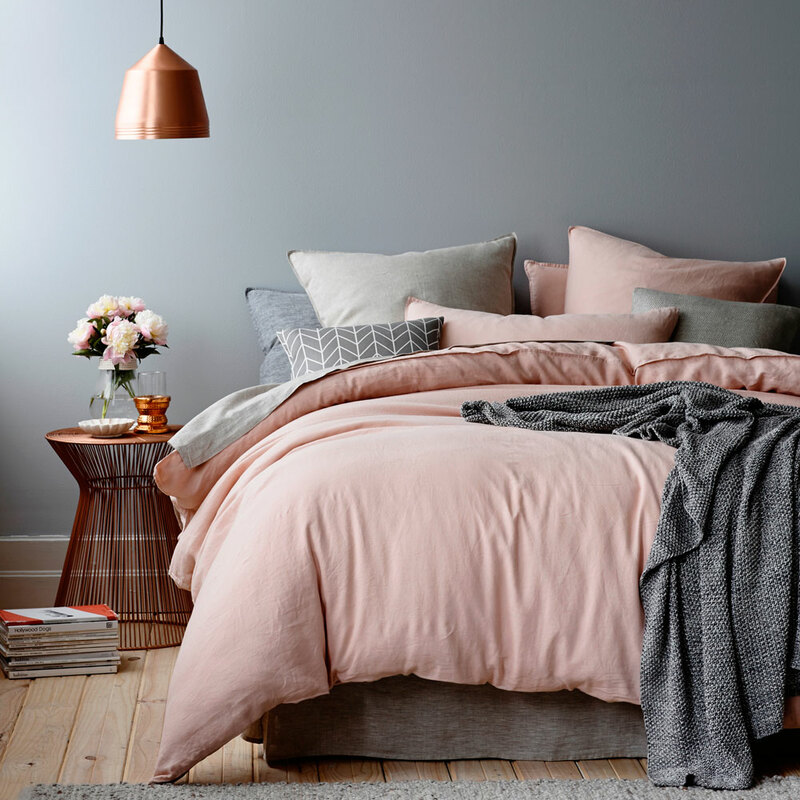 If you think your bedroom could be the cause of your insomnia, then don’t worry: there are plenty of simple updates you can do to make it the perfect place for a great night’s sleep – click here to find out more.